we will be happy to advise you and get you started. workers, picking up the finished products, and packaging your parcels to send to missionaries. 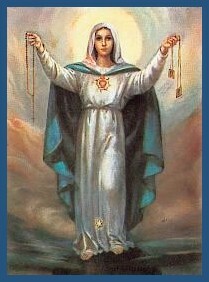 There are literally millions of people worldwide who need to learn about and become devotees of the rosary and scapular. to fill the earth with souls who pray daily rosaries and wear scapulars! I will save the World."